I would recommend them to anyone [doctors at Loehr Chiro] whether you’re pregnant, have small children, have sports injuries or just have basic aches and pains. They will always be friendly, compassionate, upbeat, dedicated, professional, and treat you as their friend–not just a patient. Dr. Loehr and his staff at Loehr Chiropractic have been here to help and support me every step of the way, as I learned I had food allergies. They helped me understand what the results meant, what changes needed to be made, what resources were available, and supported me as a I stumbled through getting healthier. I appreciate all the help they have provided me on my journey to finding a healthier me. As a gym owner and personal trainer, I recommend all my clients and members to engage in regular chiropractic care. Strength training and Chiropractic care are two of the most important factors the human body needs to maintain health, increase life longevity, and promote natural healing. Strength training and Loehr Chiropractic care are like “two peas in a pod”! Although I am competitive weight lifter, I also am a chronic migraine sufferer. I’ve been going to Dr.Loehr for over 7 years now, and he has been the soul factor in reducing and controlling my migraines. It’s truely been life changing for what chiropractic care has done in reducing my headaches. My wife and 9 month old daughter also see Dr.Loehr on a regular basis as well. Going to the chiropractor is a family event for us now! From the time you walk through the doors the welcoming staff and atmosphere just make you feel at home. I can’t say enough good things about Dr. Loehr and his staff. I completely trust him with my family’s overall health! He goes out of his way to make sure he meets our needs. His office hours are merely suggestions. Dr. Loehr does everything he can to see we get the care we need. He’s adjusted my son at 6:15AM, me at 5:45AM, and he’s even stayed late to adjust us. He’s helped my husband through severe back pain problems. He has helped me with several pelvic issues both before and after pregnancy, and he’s also helped my son from getting ear infections several times. Often times, we call Loehr Chiropractic & Acupuncture before we call our primary doctor. I appreciate that Dr. Loehr takes the time to answer any question we have as well as makes sure we understand our treatment plan. He’s adjusted my son since he was 3 days old and he’ll do the same for my daughter when she gets here. Until then, we always look forward to our visits with Dr. Loehr and know that he has our best health interest at heart. Very excited for some special friends of ours for expanding their business in chiropractic care! They serve their patients in specialties of pregnancy and pediatrics as well. I have personally used them for headaches, back and neck pain (especially before, during and after pregnancy) and my son’s asthma and earaches. If you need someone to assist you in the Springfield area–go to Loehr Chiropractic & Acupuncture. I have personally seen Dr. Loehr, Dr. LaBrie and Dr. Baca and would highly recommend each of them! The doctor feels and ensures all joints, bones aligned in hips and back and adjusts. Also checks head for misaligned plates and aligns. Sarah has gone since week 1 and goes every 3-6 months or so now. Has only had 1 ear infection in 2.5 years unlike most [people’s] kids having multiple and getting tubes by now. We took her in, chiro aligned and caused Eustachian tubes to drain, pain and infection went away within 24 hours. Dr. Loehr is a OB/Pediatric specialist. We trust him more with our family healthcare than any general practitioner/pediatrician we’ve ever met. 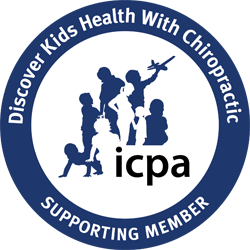 Chiropractic care has impacted my family in a very positive way. After years of specialists resulting in a daily prescription drug regimen, Dr. Loehr helped our daughter become pain free and medicine free! It is amazing how much better you feel when everything in your body is aligned correctly! After our son’s ACL reconstruction, Dr. Loehr has provided him with adjustments which have enabled him to continue his very active lifestyle. Dr. Loehr and his staff are professionals in every way–I recommend them without reservation. Read Why Patients are #Loehrloyal! I really appreciate Dr Loehr. He is kind, patient and attentive. He knows how to adjust me so well. I have gone to another chiropractor in his office, and noticed the difference. His practice is just 5 years old, and continues to grow and strive for quality care. Also, he has a heart to serve his community...at Thanksgiving his office partnered with a restaurant to bus in and serve homeless a thanksgiving meal. He also has a clinic in his hometown...I appreciate that he cares and gives back. Dr. Loehr and his team fit me in quickly to their schedule. They have a variety of doctors and services that they provide to make sure that you get the best care possible. You can't beat the service that this office provides! Dr. Labrie was amazing! Very informative and professional, as well as easy to talk to! I recently had my first prenatal adjustment using the Webster technique to hopefully help line things up for a 32 week breech baby. The adjustment went smoothly and Dr. Laborie was excellent in explaining every step before making the needed adjustment. I felt so much better after leaving the office and am look very forward to future appointments! As always I received expert treatment by Dr Emery. I feel so much today after my adjustment last night. Thank you Loehr Chiropractic for all you do!